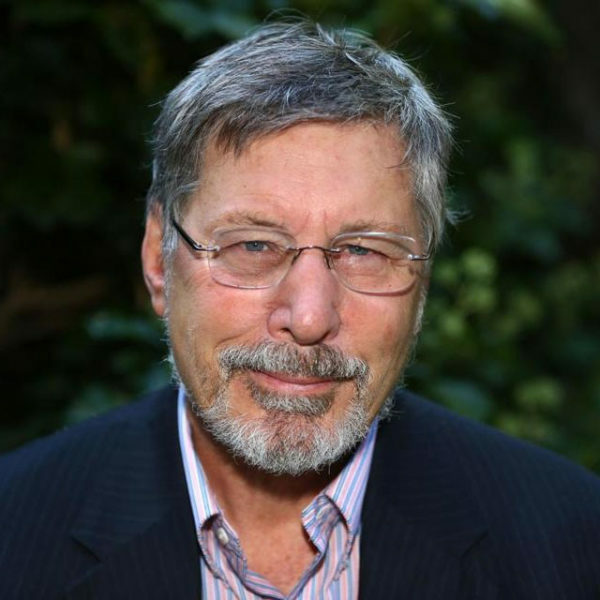 “Trauma treatment starts at the foundation of a body that can sleep, a body that can rest, a body that feels safe, a body that can move.” Psychiatrist Bessel Van Der Kolk on finding resilience in our bodies after trauma. Krista Tippett, host: The psychiatrist Bessel van der Kolk is an innovator in treating the effects of overwhelming experiences on people and society. We call this “trauma” when we encounter it in life and news. And we tend to leap to address it by talking. But he knows how some experiences imprint themselves in the body, beyond where language can reach, and how our brains take care of our bodies. Ms. Tippett: This is Becoming Wise: an inquiry into the mystery and art of living. I’m Krista Tippett. Mr. van der Kolk: Way back already in 1872, Charles Darwin wrote a book about emotions in which he talks about how emotions are expressed in things like heartbreak and gut-wrenching experience. So you feel things in your body. And then it became obvious that, if people are in a constant state of heartbreak and gut-wrench, they do everything to shut down those feelings to their body. One way of doing it is taking drugs and alcohol, and the other thing is that you can just shut down your emotional awareness of your body. And so a very large number of traumatized people who we see, I’d say the majority of the people we treat at the trauma center and in my practice, have very cut off relationships to their bodies. They may not feel what’s happening in their bodies. They may not register what goes on with them. And so it became very clear that we needed to help people to feel safe feeling the sensations in their bodies, to start having a relationship with the life of their organism, as I like to call it. Ms. Tippett: I wonder if you have ever heard of somebody named Matthew Sanford. He’s a very renowned yoga teacher. He’s been paraplegic since he was thirteen, and he had no memory of the accident in which he was disabled, and his body remembered it. He talks about “body memory.” It’s the same thing you say, this imprint that trauma leaves, not just on your mind. The other thing that he’s doing recently is working with veterans and also with young women suffering from anorexia, understanding that although that seems to be so much an obsession with the body, they are really in a traumatic relationship with their own bodies. Mr. van der Kolk: Absolutely. Really feeling your body move and the life inside of yourself is critical. Western culture is astoundingly disembodied. The way I like to say it is that we basically come from a post-alcoholic culture. People whose origins are in Northern Europe had only one way of treating distress: namely with a bottle of alcohol. North American culture continues with that notion. If you feel bad, take a swig or take a pill. The notion that you can do things to change the harmony inside yourself is just not something that we teach in schools and in our culture, in our churches, in our religious practices. But if you look at religions around the world, they always start with dancing, moving, singing, physical experiences. The more “respectable” people become, the more stiff they become somehow. Ms. Tippett: You said somewhere that PTSD has opened the door to scientific investigation of the nature of human suffering. That’s a profound step, right? To me, that’s a spiritual way to talk about this field, with a profound understanding of what the word spiritual means. Mr. van der Kolk: This field has opened up in two areas. One is the area of trauma and survival and suffering, but the other one is that people are studying the nature of human connections and the connection between us, also from a scientific point of view. As much as trauma has opened up things, I think the other very important arm of scientific discovery is how the human connection is being looked at scientifically now and what really happens when two people see each other, when two people respond to each other, when people mirror each other, when two bodies move together in dancing and smiling and talking. There’s a whole new field of interpersonal neurobiology that is studying how we are connected with each other and how a lack of connection, particularly early in life, has devastating consequences on the development of mind and brain. Ms. Tippett: And it’s true, isn’t it, from your study, that if people learn to inhabit their bodies, to be more self-aware, that these qualities and habits can serve, can create resilience, when trauma hits. Mr. van der Kolk: Yes. We are really beginning to seriously understand how human beings can learn how to do that, to observe and not react. Ms. Tippett: I think I just want to come back to this idea that somehow the point of all of this, the take-home for you is that we have to feel safe, and that has to be a bodily perception, not just a cognitive perception. Somehow everything comes back to that. Mr. van der Kolk: That is the foundation. You need to actually feel that feeling. You need to know what is happening in your body. You need to know where your right toe is or your pinkie is. Ms. Tippett: It’s very nitty gritty. Mr. van der Kolk: It’s very, very basic, you know, but sorely lacking in our diagnostic system is simple things like eating and peeing and pooping, because those are the foundation of everything. And breathing. These are foundational things, all of which go wrong when you get traumatized. The most elementary body functions go awry when you are terrified. So trauma treatment starts at the foundation of a body that can sleep, a body that can rest, a body that feels safe, a body that can move. And I love the example of your guy who was paraplegic and does yoga because even when your body is impaired he can still learn to own it and to have it. Ms. Tippett: Bessel van der Kolk’s transformative book on the effects and healing of traumatic stress is called The Body Keeps Score.